The reading list is a selection of books that will provide hours of informative and inspirational reading for poets and writers. 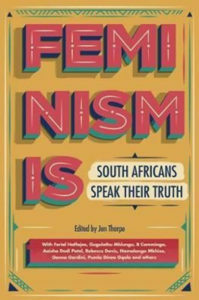 Feminism Is, edited by Jen Thorpe, is divided into five parts: “Inspiration”, “Inclusions and Exclusions”, “Conversations”, “Power and Fury” and “In Practice”. Each section includes a myriad of strong voices: mostly essays, but there are also interviews and poems. The writers are diverse and include Pumla Gqola, Colleen Higgs, Helen Moffett, Gabeba Baderoon and Dela Gwala. I came to this text after attending an event at the Franschhoek Literary Festival. What a powerful place to start if you have not yet begun to understand the workings of Feminism and in particular, if you are interested in obtaining a very African perspective on this issue which is often foregrounded in peculiarly Western terms. I interviewed Hedley Twidle at the Franschhoek Literary Festival together with the insightful Kalim Rajib on a panel addressing creative non-fiction. 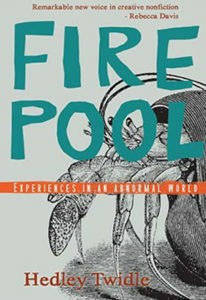 Twidle’s selection of creative non-fiction essays offer the reader insight into, inter alia, issues of South African culture, our nuclear future, the social, the pychogeographic and other intermingled and often unusual topics. Twidle melds these darkly serious subjects with a dose of darkly comic humour and offers the reader insight into a truly South African experience of race and culture. Read it, particularly if you plan to try your hand at this interesting genre of writing, which requires a delicate melding of objective fact with the subjective insights of the author. 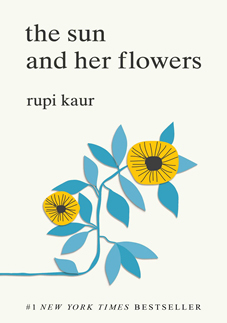 the sun and her flowers is the long awaited second collection of Rupi Kaur and winner of the Sunday Times Number one Bestseller Winner of The GoodReads Choice Award for Poetry 2017. It is a journey of wilting, falling, rooting and rising. If you are tempted to put it down after the first rather emotionally dramatic section on wilting, stick with it through the sections on rooting and rising, which contain some powerful images on surviving abuse and abusive relationships. Although I had not come across Kaur’s writing before, my 14 year daughter immediately recognised her name and had read many of her poems from her first collection, Milk and Honey online. An interesting collection of contemporary, modern poems with a feminist undertone that will give you a good idea of what younger poets are reading and enjoying. W.S. Merwin is considered by many to be one of the most influential American poets of the last half century and an essential voice in American literature. As well as having been awarded most of the principal prizes in American literature, he is an avid translator of classical works including those of Dante and Neruda. His, Selected Poems, covers over five decades of poetry plus some newer work. He is a pacifist and environmentalist whose intimate descriptions of the landscape around him and his understanding of the way in which language and the land are linked, create dense, dream-like poems, full of awe at the natural world. In 1970, Merwin abandoned the use of punctuation and the resulting texts are dramatic and thrilling poems carrying metaphysical weight and a unified experience. It is an indispensable collection that should find a place at the bedside of any serious poet. 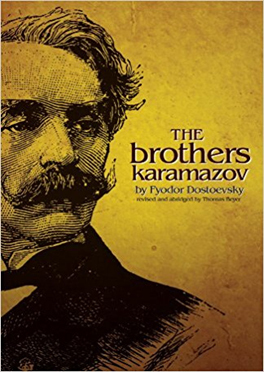 Many regard Dostoevsky’s The Brothers Karamazov as one of the greatest literary works of all time. Kurt Vonnegut went so far as to write that it was one book that could teach you all you need to know about life. Prepare yourself for a long read. The four sections (in my edition over 800 pages), make it a complex and dense read encompassing an analysis of depravity, sensuality and violence foiled by the spiritual purity of its protagonist Alexei Karamazov. Read it to immerse yourself in Russian life of the mid 1800’s and then consider its themes of redemption, God and atheism, ethics and guilt, jealousy, justice, family and nationality, existentialism and the innocence of children – all of which are just as relevant and applicable now as they were then. 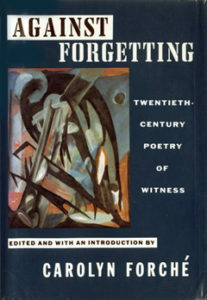 Against Forgetting is the landmark anthology by the formidable poet and essayist Carolyn Forché. It is a selection of over 100 poets who according to Forché, endured conditions of historical and social extremity in various forms including torture, state censorship, political persecution and states of war. 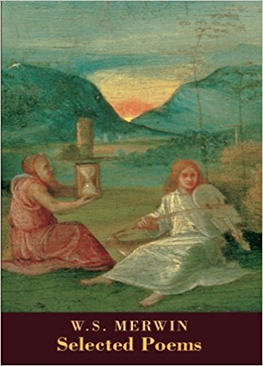 The editor, through the text and selections, reveals the way in which tragic events leave marks on the imagination and provides useful guidelines on how to transform writing of a political and social nature from diatribe to sustainable poetic works. It features, amongst others, the work of our own South African poet Breyten Breytenbach. 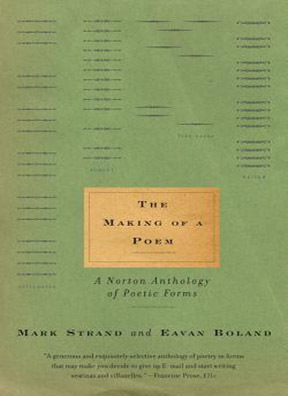 In The Making of a Poem, renowned poets Mark Strand and Eavan Boland provide a lucid and easily accessible guide to the mysteries of writing poems in various traditional forms. Sonnets, ballads, the villanelle and the sestina are among some of the forms covered by them in this rich selection of poems that demonstrate the power and possibility of each of the forms. Essential reading for any poet. The masterful letter writer and voracious reader, Henry Miller’s, The Wisdom of the Heart, will immerse you in a collection of his short stories, profiles and literary essays. Standout chapters include, The Absolute Collective, Uterine Hunger and The Cosmological Eye. His writing is a commentary on the universality of the human condition. I have recently devoured Adrienne Rich’s, What is Found There: Poetry and Politics. It is a selection of Rich’s essays on the relation of poetry to politics and art and philosophy and contains jewels of information and insights that will leave you inspired and contemplating for days. Camille Pagalia’s, Break, Blow, Burn, is an inspired selection of well-known poems, accompanied by concise commentaries that read as self-standing pieces of writing. Taking poetry out of pretentious theory, these summaries embrace poetry in its form as a visual construct that lasts and which illuminates human universals.